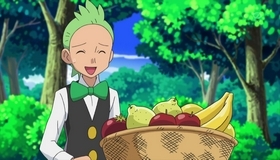 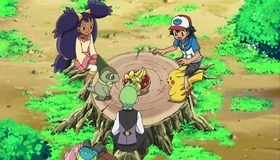 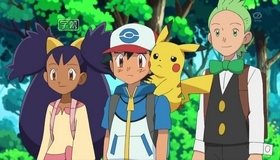 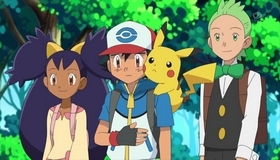 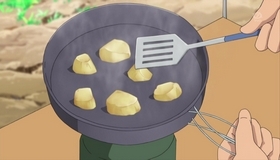 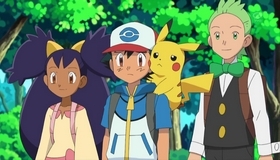 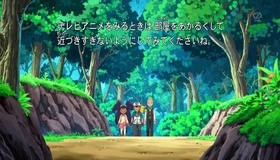 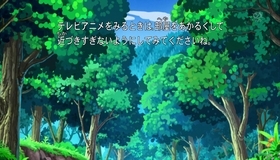 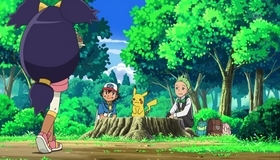 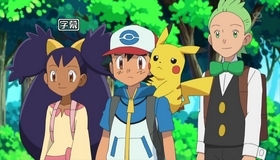 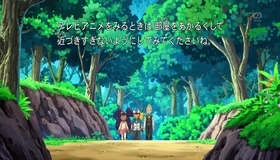 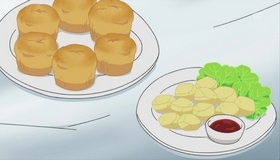 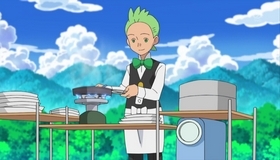 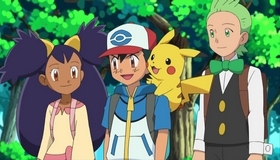 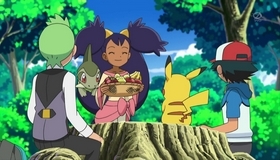 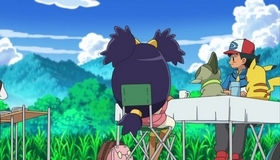 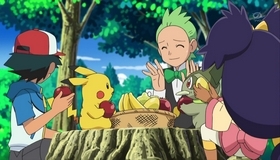 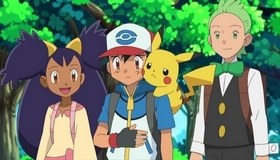 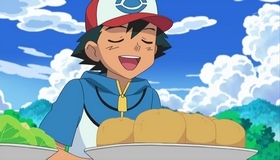 Now accompanied by Cilan and Iris, Ash is headed toward Nacrene City and his second Gym Battle challenge. 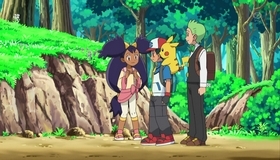 On their way, the three Trainers come across a wild Snivy. 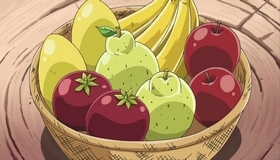 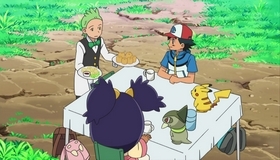 Of course, Ash’s first reaction is to catch this intelligent and speedy Pokémon, and the wily Snivy doesn’t give up easily, ensnaring most of Ash’s team with a devastating Attract move. 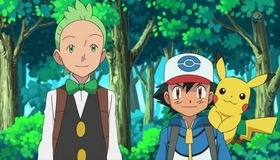 After Pikachu, Oshawott, and Tepig all fall prey to Snivy’s charms, Ash enlists the aid of his Pidove, who turns out to be a girl—and thus immune to Snivy’s Attract! 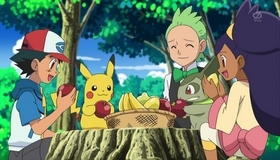 Finally, after some intense battling, the weary Snivy finally stays in its Poké Ball, and Ash has his fourth Unova region Pokémon!